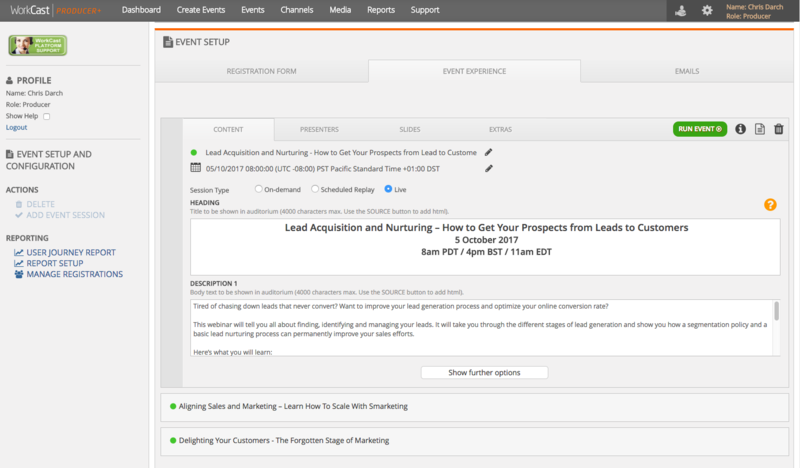 This is a guide on how to add your page content to your virtual event. You will receive Producer log in details from your WorkCast project manager. Log in to the platform using your relevant log in details. In this section, you should see 4 tabs – Content, Presenters, Slides/Media, Extras. 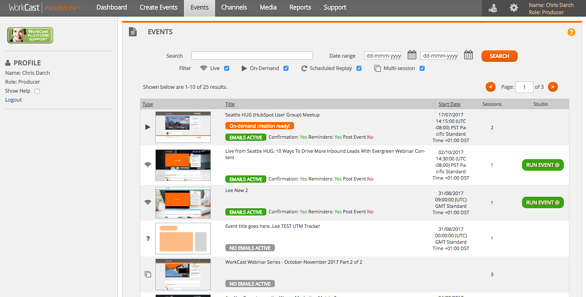 Heading* - This is the title of the page and is displayed within your event page. Description 1, 2 and 3 - These are for any overview text required to display in your event page. This is where you would add and existing presenter, or create a new presenter. 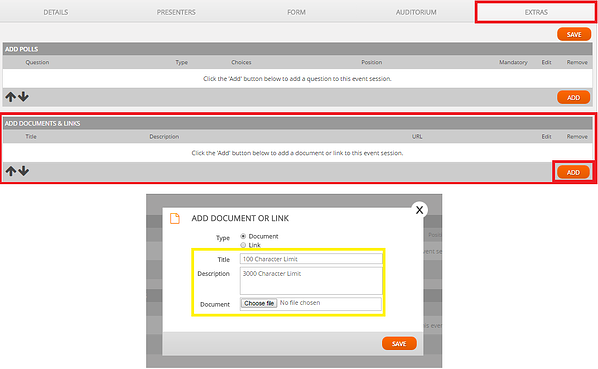 If you do not require to show presenters/speakers on this page, there is always a generic one added which is hidden. Please leave this tab the way it is if you do not wish to add anything to it. If you have on demand pages the tab will state 'Media'. Please upload the mp4 video for that specific page within this tab. If it is a live session the tab will state 'Slides'. Please upload your slides for the live session here. Guidelines for video media can be found here. Guidelines for PowerPoint best practice can be found here. The ‘Add documents & links’ section needs to be updated if necessary. This is where you would add your resources for that particular page. To add a resource, click the orange ‘Add’ button, and a pop up should appear. Follow the workflow to add the resource you wish, and repeat for each resource. Please see below for the character limits for each section. Once you have completed your content additions, please click save within the green bar. Please use the ‘Preview Auditorium’ button to then preview your page. If you need to make any more changes, please follow the above process once more. If you are happy with your amends, please click ‘Publish’ within the blue bar. This is same process for each page/session you wish to update. You would update each of the sessions listed with the green dot on the left which your viewers would see. Make sure you save and publish each session with any changes/additions you have made before moving on to your next session.